Powerful films can help spark worldwide awareness and debate on some of the most pressing food and agriculture issues, as well as reinforce and reenergize environmental and sustainability activism efforts. Food Tank has curated a list of 18 recent food films that inspire, outrage and mobilize. 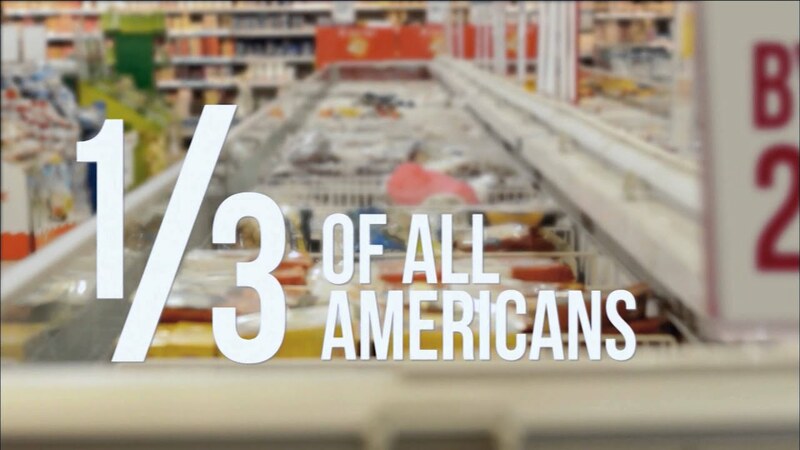 A Place at the Table investigates the issue of hunger in the U.S. and how it affects nearly 50 million American lives. The film follows the stories of three people suffering from food insecurity: Barbie, a single Philadelphia mother, Rosie, a Colorado fifth-grader and Tremonica, a Mississippi second-grader with several health problems. With appearances by Jeff Bridges, Raj Patel, chef Tom Colicchio and many other food activists, the film demonstrates how the problem of hunger can be solved once and for all if the American public and government mobilize to make healthy food available and affordable for all citizens. A film two years in the making, Blue travels across Indonesia, the Philippines, Hawaii and Australia to capture stand-out ocean and marine life stories. Featuring passionate advocates for ocean preservation, Blue explores subjects such as industrial-scale fishing, marine habitat destruction and species loss, and the world's plastic pollution problem, diving deep into the issues that are driving mass ocean change around the globe. A combination of investigative journalism, underwater cinematography and public awareness campaign, Blue both documents and encourages a global movement to save the world's oceans. Bugs follows chefs and researchers Josh Evans, Ben Reade and Roberto Flore from the Nordic Food Lab around the world as they explore how to forage, farm, cook and taste insects. Film director Andreas Johnsen traces their journey across Europe, Australia, Mexico, Kenya, Japan and beyond to learn from some of the two billion people who eat insects worldwide. Throughout their experiences and conversations in the field, the lab, at farm visits and international conferences, the team explore the possibilities and challenges for scaling-up insect production. Focusing on the social and cultural components of the coffee supply chain, Caffeinated takes viewers on a journey from the farmers responsible for growing a perfect bean to the roasters and baristas responsible for brewing a perfect cup. Working with one of the foremost green coffee buyers in the world, Geoff Watts, filmmakers Hanh Nguyen and Vishal Solanki travel to leading coffee producing countries and America's most populous coffee-drinking cities, interviewing farmers, researchers and connoisseurs alike. Caffeinated reveals that farmers are the lynchpin to the more than 1 billion cups of coffee enjoyed each day and affirms the necessity for sustainably produced coffee beans. Dolores tells the story of lifetime activist Dolores Huerta, who worked alongside Cesar Chavez for better working conditions for Latino farmworkers and women's rights. Directed by Peter Bratt, the documentary chronicles Huerta's time with the United Farm Workers union—which she co-founded with Chavez in the 1960s—and the racial and economic injustices she experienced in California's agricultural Central Valley. It also captures Huerta's key achievements, including her central involvement in a national grape boycott and the historic farmworkers march to Sacramento in 1966, as well as receiving The Presidential Medal of Freedom by President Obama in 2012. Farmland takes an intimate look at the lives of six young American farmers and ranchers, all of whom are under the age of 30 and responsible for running their farming business. Director James Moll travels across the U.S. to profile those who have not only carried on their family's profession for generations but are also at the forefront of a new era in American agriculture. The documentary, made with the support of the U.S. Farmers and Ranchers Alliance, aims to tell the farmers' side of the agriculture production story, detailing the high-risks and high-rewards inherent in getting food from farm to fork. Narrated by Katie Couric, Fed Up is an American documentary film focusing on the causes of obesity in the U.S., and the government's role in both its prevention and spread. The film traces the history of processed foods, the dangerous and increasing levels of sugar and sweeteners that have been added to them over time, and their contribution to childhood obesity and diet-related disease. It also follows the rise of the major companies and players in the sugar industry, pointing to the lobbying power of Big Sugar in blocking and influencing policies and regulations for sweetened food and drinks. Written and performed by young poet Monica Mendoza, this short film is a powerful and poignant portrait of how soda and snack food companies impact the lives of Latino families in the U.S. A fusion of slam poetry, cultural anthropology and advocacy, Home Flavored hopes to spark a conversation about the epidemic of obesity and diet-related disease. The film won Real Food Media's 2016 Food and Farming Short Film Competition. From Black Bark Films and the United Kingdom's Landworkers Alliance, In Our Hands documents the growing movement of farmers and food workers who are creating alternate, sustainable and healthy models for food production and distribution in the UK. The documentary explores the quiet revolution of farmers working to build a food system that will bring health back to the soil, a fair wage to the farmer and more nutritious food for all. Designed to be an open source tool and resource for farmers and activists, In Our Hands aims to inspire and educate about the movement for a fair and sustainable food system. Jeremiah Tower: The Last Magnificent explores the life and career of Jeremiah Tower, one of America's first celebrity chef-restaurateurs. The film follows Tower's career from its start at the renowned Chez Panisse in Berkeley in 1972, to the launch of his own Stars Restaurant in San Francisco, one of America's top-grossing U.S. restaurants. Featuring interviews by Anthony Bourdain, Ruth Reichl and Martha Stewart, this documentary highlights the controversy, influence, and rise and fall of one of the leading figures in American gastronomy. In Kale vs. Cow (forthcoming), podcast and blog author of Sustainable Dish, Diana Rodgers, questions whether a healthy, sustainable and conscientious food system can exist without animals. Focusing specifically on beef production and consumption, this documentary probes the fundamental moral, environmental and nutritional quandaries humans face in raising and eating animals. Kale vs. Cow focuses on personal stories of people who are involved in better meat production while demonstrating that naturally produced meat can be part of a healthy, sustainable and ethical diet. Kiss the Ground (forthcoming 2018) delves into the lives and work of passionate scientists, farmers, ranchers, chefs, activists and policymakers working to save the world's soils and drive a global movement towards a regenerative agriculture. The documentary explores how soil, when properly cared for, has the potential to sequester carbon dioxide and help mitigate against climate change. Kiss the Ground empowers people to choose a diet that not only delivers better health and wellness but also helps rebuild one of the world's most precious resources—soil. Made especially to be presented at the 2015 United Nations Climate Change Conference in Paris, this short film highlights the benefits of a regenerative farming system called Syntropic Agriculture. Developed by farmer and researcher, Ernst Gotsch, Syntropic Agriculture mimics the natural regeneration of forests, integrating food production with soil recovery techniques. Life in Syntropy documents the range of ecological and agricultural possibilities of syntropic farming, showcasing successful examples from Brazil. A portrait of 68-year-old Vermont organic farmer, Peter Dunning, Peter and the Farm reveals the trials and tribulations of devoting one's life to farming. Showcasing Dunning's picturesque hilltop farm in Vermont, the film quickly captures Dunning's external and internal struggles of running a 187-acre farm on his own. Documenting Dunning's battle with alcoholism, depression and the loss of most of his family and friends, Peter and the Farm presents the lived-in reality of organic farming from a darker, yet insightful angle. Narrated by Daryl Hannah, Plant This Movie explores the evolution and growing impact of urban farming around the world, including the success in Havana, Cuba to projects in Shanghai, Calcutta, Addis Ababa, London and Lima. In the U.S., the film features innovative projects in New York, New Orleans, Los Angeles, Berkeley and Portland, including the largest rooftop garden in the world and other local efforts such as student-run CSAs. Featuring leading urban farming advocates, Plant This Movie affirms that healthier, locally grown food, can be produced almost anywhere. SEED: The Untold Story follows passionate seed savers and activists protecting the world's 12,000 year-old agricultural legacy. The film charts a David and Goliath battle as seed libraries, community gardens and a new generation of young farmers come up against the large, corporate chemical companies that now control the majority of the world's seeds. Featuring a wide range of interviews with prominent environmentalists and researchers, such as Vandana Shiva, Jane Goodall and Raj Patel, as well small-scale farmers indigenous communities from across the globe, SEED educates audiences about the importance of seed biodiversity for the future of the world's food supply. Sustainable investigates the social, economic and environmental issues of America's food and agriculture system and what must be done to sustain it for future generations. Spanning the country, the film draws on recommendations from farmers, restaurateurs and policymakers detailing how to move away from industrial and factory farming and find better, more sustainable ways to produce and source food. "Sustainable" was awarded the 2016 Accolade Global Humanitarian Award for Outstanding Achievement and has screened at more than 20 film festivals around the world. From chef and television personality Anthony Bourdain, WASTED! The Story of Food Waste explores both the problem of food waste in the U.S. and possible solutions from around the globe. The documentary features renowned chefs and food leaders, including Dan Barber, Massimo Bottura and Dr. Judith Rodin, who demonstrate potential ways to help solve the food waste problem, as well as policy approaches from countries such as France, Italy and South Korea, that aim to curb food waste. Through telling the story behind food waste, "WASTED!" aims to change the way people buy, cook, recycle and eat food.